WordPress released version 4.9.5 on the 3rd of April, the fourth update of 2018. It is an update for all versions since 3.7 and it is recommended that users update as soon as possible. This update comes as three security issues were found in the previous version, 4.9.4. Safe redirects are used when redirecting to the login page if SSL is forced. The previous styles used on caption shortcodes have been restored. You can find further details on the latest WordPress update here. As part of our managed WordPress hosting packages our clients receive automatic WordPress updates. 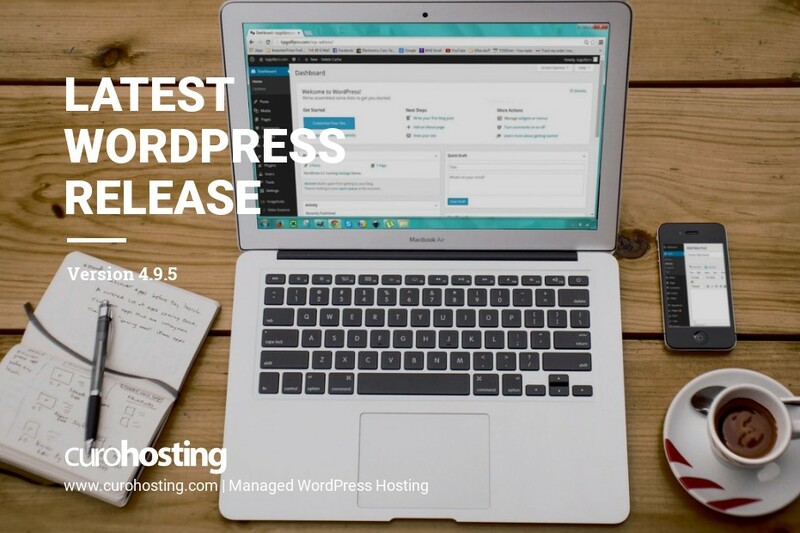 Therefore, all CuroHosting clients’ WordPress sites have already been updated to WordPress 4.9.5. All of our hosting packages, Starter, Growth and Scale, all come with automatic WordPress updates as standard to ensure all WordPress sites hosted by us are up-to-date and secure.